Tech Global has been the leader in interactive touch screen solutions since 2004, serving an array of markets. We have extensive experience in operations, design and manufacturing, spanning LCD, LED, touch screen technologies, display architecture, electronics, plastics, metal and specialty glass. It’s true, we provide high-quality commercial interactive display solutions, but there is so much more to our story. At Tech Global, we believe and operate under our core principles; Integrity, Quality and Customer Service. These principles are the vision of our CEO Jim Rocheford since 2004. It’s with these core principles and human touch that customers trust in our people, products and services. We don’t push boxes, we consult on the right solutions! 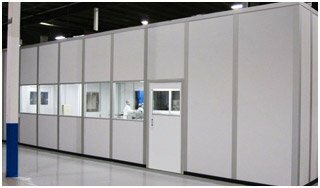 Tech Global displays are built in our Elgin, Illinois ISO:9001 clean room and manufacturing facility. All components are carefully engineered for each product and solution. Manufacturing in the USA allows us greater flexibility when it comes to our customers’ needs. A wide range of products are available for you to choose from to customize the solution you need. We are proud to say that all of our products are TAA Compliant! Over 24,000 square feet of office, engineering, research and development, manufacturing, clean room, and warehouse space. Tech Global provides all its products, service and support right here in the USA. No need to worry about a call center overseas. Our Sales, Engineering, and Technical Support teams are here to answer any questions you may have. Quality is our top priority and the very best customer service is a necessity upon which our customers depend. Our goal is to deliver exceptional satisfaction from the conception of a project, through our consultive sales process, installation and post project completion follow up. Functional design is inherent in the engineering process at any level. Beyond the common practice of functional design, Tech Global has secured a place in refinement of design and user experience. Tech Global believes a product should function beyond expectations, even in the most vigorous environments, and it should do so with excessive appeal and intelligent design. Tech Global’s engineering team has deep-rooted design processes to enable expeditious custom product delivery. Utilizing the experience gained over years of government mission critical demands, the engineering department can pull on previous knowledge to construct and implement the most complex conceptions. Tech Global takes great pride in being a premier touch screen display company. We aim to maintain our excellent reputation and to continue to grow and prosper as we strive for continuous improvement through our ethical practices, quality products and partnership loyalty. Quality is the responsibility of every Tech Global employee to exceed customer expectations in both ‘on time, every time’ shipments and product performance. It is our intent to continually progress by providing our customers with quality service and products. Tech Global facilities, employees and products are certified ISO:9001 compliant. Tech Global’s management, sales, and engineering teams have been developing display and technology solutions for over 25 years. Tech Global has been producing 24/7-365, commercial, mission critical display solutions for U.S. Army, Navy, Airforce and local state governments since 2004. 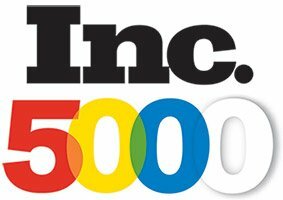 In 2014, Tech Global was recognized as one of Inc. 500’s fastest-growing private companies in the U.S.A.